New London’s first ferry was chartered in 1651 and crossed the Thames River from New London to Groton. This service evolved with the times, transporting everything from ox carts and people to, centuries later, railroad freight. After mastering cross-river travel in relatively short order, operators began looking to bigger challenges and the opportunities that awaited them on Long Island Sound. During the 18th and 19th centuries many vessels plied Long Island Sound, sailing back and forth between New York and Connecticut. 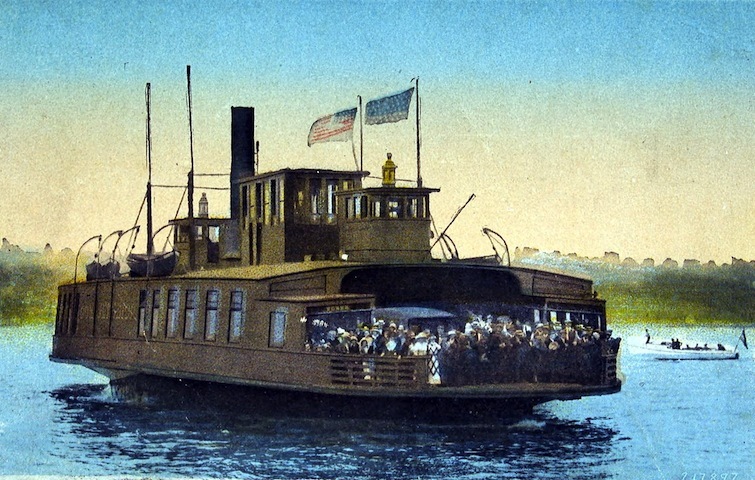 By the late 19th century, steamboats ran between New London and Sag Harbor, and Greenport on Long Island to Block Island and Fisher’s Island. Many operated year-round, providing a vital commercial lifeline for farmers and businesses, while other, special excursion boats, operated primarily during the summer—taking vacationers to popular beach destinations. 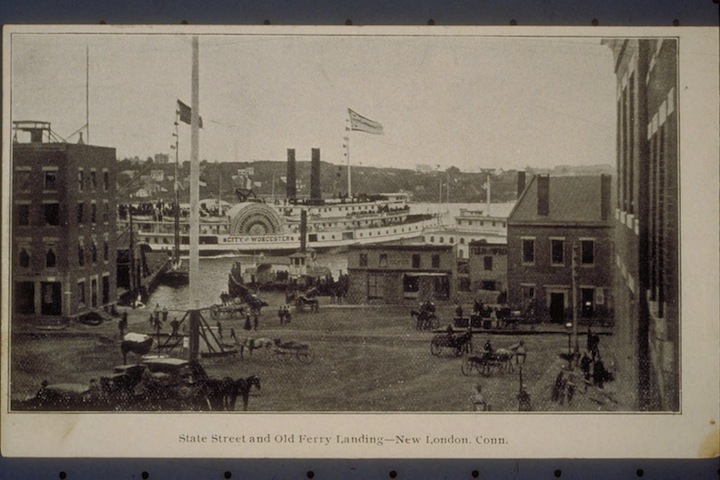 The coming of the automobile provided both opportunity and challenge for New London’s steamboats. Ferries traditionally carried horses and horse-drawn vehicles, and the transition to motor vehicles proved relatively seamless. By 1912, the Hartford Courant stated that each day the Block Island boat carried “a large number of automobiles and teams (horse-drawn vehicles)” along with thousands of people. But competition from automobiles also cut down on the ferries’ popularity. In 1919, authorities built a new railroad bridge between New London and Groton and converted the old bridge for use by automobiles, rendering the Thames River ferry obsolete. 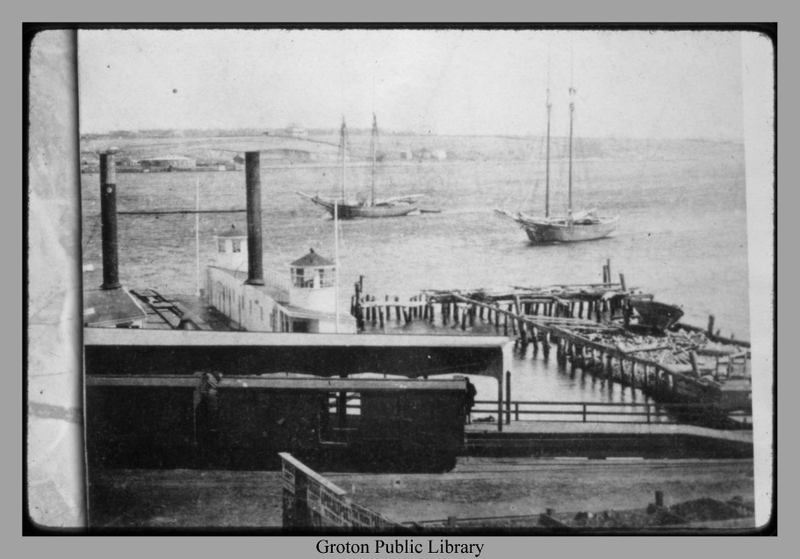 The cross-sound ferries continued to operate, however, and a new line soon emerged between New London and Orient Point. For a time following World War II, all three ferries on the New London to Orient Point route were actually converted military landing ships. Officials eventually retired these as they acquired new, more modern vessels. But another landing craft, the Cape Henlopen (formerly USSLST 510) joined the fleet in 1983 and still remains in service. Today the ferry from New London to Long Island remains the shortest and quickest way to get from eastern Long Island to New England, just as it was in centuries past. Hurd, D. Hamilton. History of New London County, Connecticut with Biographical Sketches of Many of Its Pioneers and Prominent Men. Philadelphia, PA: J.W. Lewis & Company, 1882. Link. Decker, Robert Owen. The Whaling City. Chester, CT: Pequot Press, 1976.